So Rob Ford is finally getting professional help for his alleged (admitted?) drug abuse. So we ask: What is the value of professsional advice? Does it help? With the new Rob Ford crack video images and drunken rant tapes posted, for Rob Ford, we can hope it helps break bad personal habits. What about the value of financial advisors? Are financial advisors worth it too? 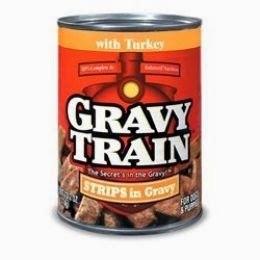 Ride the investing Gravy Train ! According to a groundbreaking research study, Mackenzie Investments says the answer is a resounding Yes (or as Rob Ford would say in drunken patois "Ya Mon!"). Advised households have approximately twice the level of financial assets as their non-advised counterparts, and this advantage grows over time. Canadians who rely on a financial advisor to guide their financial decisions are wealthier, more confident and better prepared for the financial implications of marriage, a new child, their children’s education, retirement and other life events. The study, carried out by the Montréal-based Center for Interuniversity Research and Analysis on Organizations (CIRANO), shows that advisors positively affect the level of wealth of Canadian households. Their analysis showed that financial advisors contribute significantly to the accumulation of financial wealth. The study considered a list of other socio-economic, demographic, and attitudinal variables that can affect wealth, the research indicates that the advice advantage is largely attributed to a greater savings discipline. So stay disciplined! Stay the course as Bob and Doug Ford say in the above video. Get good advice and you could be riding the investing gravy train! P.S. - we have to wonder cause and effect here. Are successful, wealthy investors just parking their money with advisors while they make more money in their day jobs? Or are the advisors contributing to the wealth? Similarly, do high-priced BMW car dealer mechanics make the drivers wealthy and help them afford the high-end car (not really) or is it just a service?